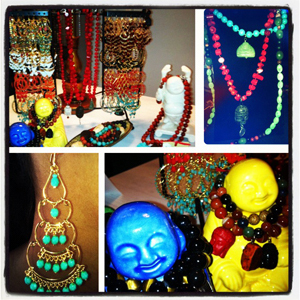 Kathleen Wright has been designing jewelry for more than 15 years , she started selling and making jewelry while living in New York City fifteen years ago and now lives in Miami Beach where she is still running her wholesale business. After the first year of her business she had started selling to stores including small boutiques, catalogs, department stores etc and on her own. She was only 21 and had already had a successful business at a young age with a small Retail Location in Soho NYC and had sales Reps in New York and other major cities nationwide. Researching the markets on her own, Kathleen and with no jewelry training taught herself to manufacture a small jewelry business for wholesale and retail as well and has run a successful business ever since. She has studied Fashion Buying and Merchandising at New York City’s FIT university, Fashion Institute of Technology. 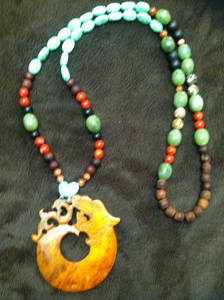 She has a passion for trends but loves to incorporate in her vast line all the classic elements as well being able to offer a large variety of styles for a large demographic Market.. She now makes what she loves to wear herself like natural stones and beads Incorporated with other elements as well. Her latest favorite line is inspired by travel to Asia , turkey, Morocco and other exotic places and what she’s passionate about . 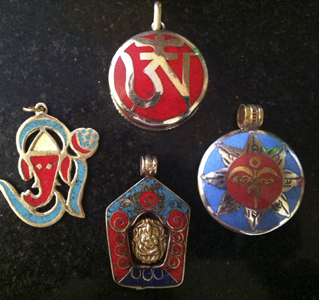 She calls it YOGA Jewelry or The Zen line due to her love for Asian Cultures like India, Tibet, China etc. 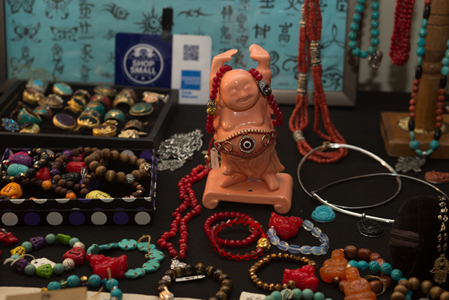 this line consists of tons of spiritual icons Like Buddha, the Hamsa, protective eye, along with beautiful beads made from natural stones . carved charms , and much more..
Its price points vary being she sells low to high end and the line can be customized for retailers as well. She’s good at working out any look at any price depending on the materials used and is great at using her resources to do so. 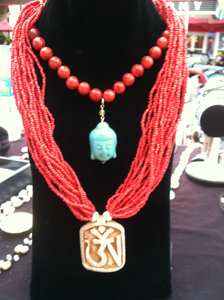 Kathleen sells her jewelry nationwide and exports to some countries over seas and to the Caribbean as well. Inspired by her travels ad what she loves to wear Kathleen creates this line for about 6 years , This collection had varied by season based on availability of materials and what she finds in the market and resources from around the world. Some countries she find components from are India, Tibet, Turkey, Nepal, China , Thailand ,Morrccoo, us, south america, and some other countries mixed in. Most pieces tend to be one of a kind but she does wholesale the collection as well as retail for some speciallity store that like that the collection will ever be the same from season to Season. 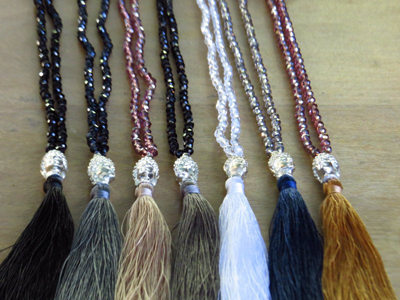 With some amazing pendents and stones, the materials consist of all semi precious stones, pearls, natural fossil, sterling silver, brass, and other base metals like copper, pewter etc. 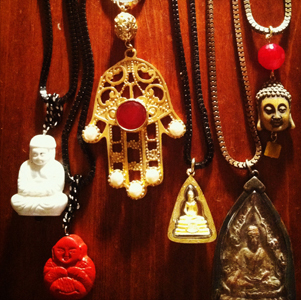 Some great icons used first Buddha , varied from different parts of Asia , with names and shapes and sizes, the hamsa,( HAND OF FATIMA) , hindu icons like Ohm signs, Ganesh, etc, the 8 auspicious symbols of buddism, ying yang, evil eyes, mala beads, all pared nicely with different chains, stones and other beautifully chosen components had picked by the Designer. 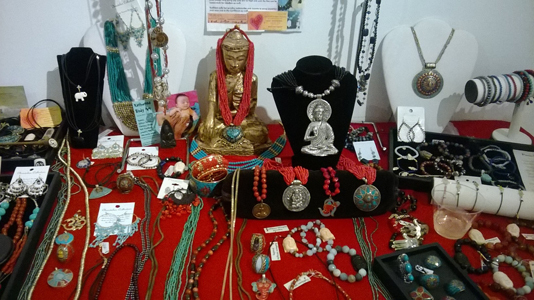 This collection varies from chokers, pendants alone, to long multi stand designs, and includes all types of bracelets, bangles, short to chandiler earrings, etc etc. 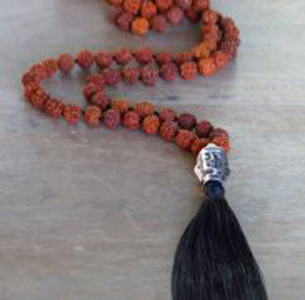 New this Fall 2014, these malas are the most elegant ever, are not the tradiotnal 108 beads that the spiritual collection has but are a bit trendy with amazing colors, materials, and all with tassels!, Some material from our other collection are used like fresh water pearals,, chech crystals, beads from traditional malas etc. More designs will be added to this collection in 2015!! Fresh Water Pearls galore!! 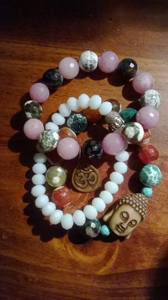 Semi precious Stone Collection. 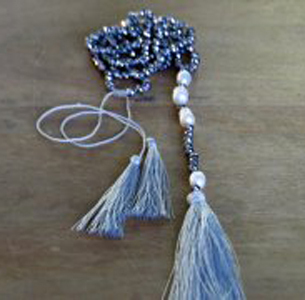 Kathleen has been using fresh water pearls i her designs since late 90's when she started custom wedding jewelry . She liked so much the different new shapes and colors they come in that she started working with them with here everyday collection. 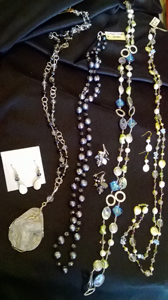 Now she loved micing the pearls as well with semi precious stones, swarvoski crystals, mother of pearls etc, all varied from simple to chunkie looks..these designs are wire wrapped with sterling silver wire and finding as well as gold filled. 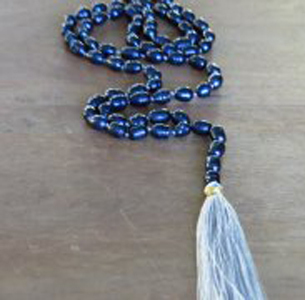 She also uses macrome with pearls which makes them extra strong to use as a nceklace as well as wrap arounf bracelet. 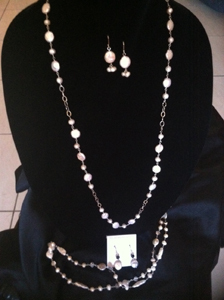 This collection starts from necklaces very long to 16 inches , bracelets streachy and on, all types of earrings from pearl studs to longer to clusters . 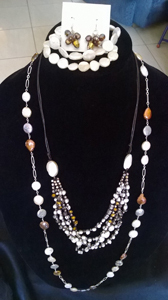 each piece in This collection can be worn alone , as matching sets , or the necklaces and bracelets are designed to be layered and look all great together and can mixed and matched. As like the spiritual collection this also varies from season to season, bringing in darker looking pieces in the fall winter collection but always keeping the white coin pearl collection year round. Kathleen loves using sea looking colors from living in florida but these colors also work in the collection year round.